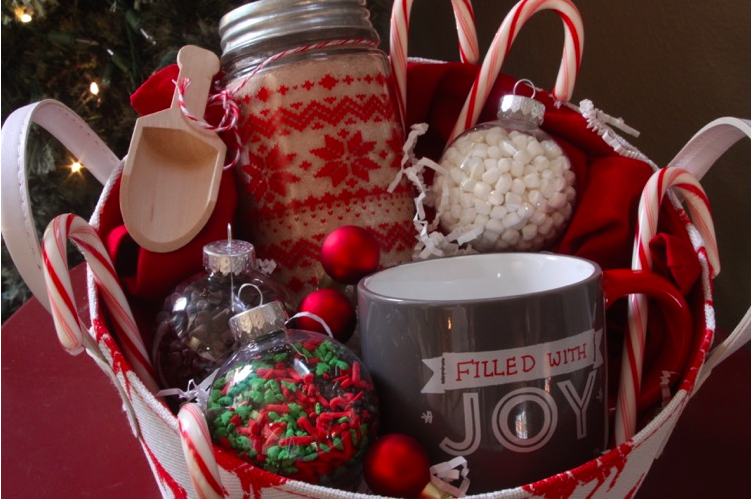 Are you looking for a quick and easy gift to put together for a family? 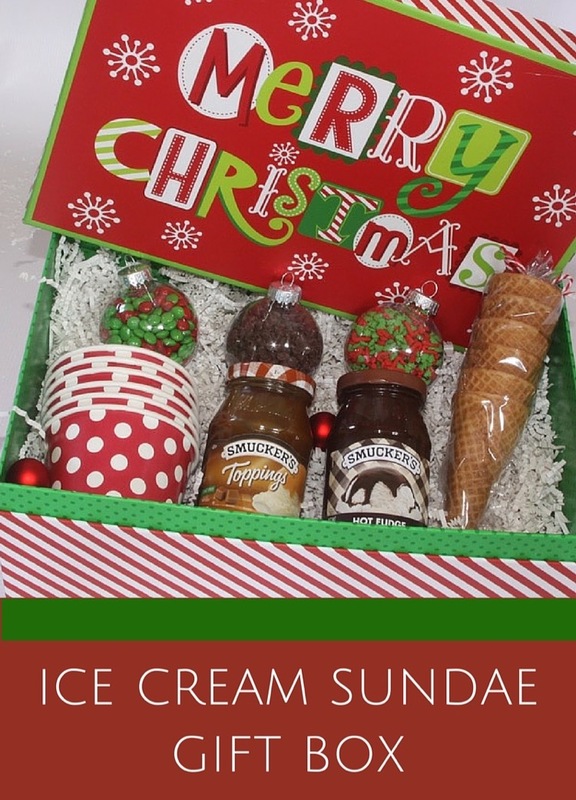 Make an Ice Cream Sundae gift basket/box that includes everything they need to make ice cream cones or sundaes. 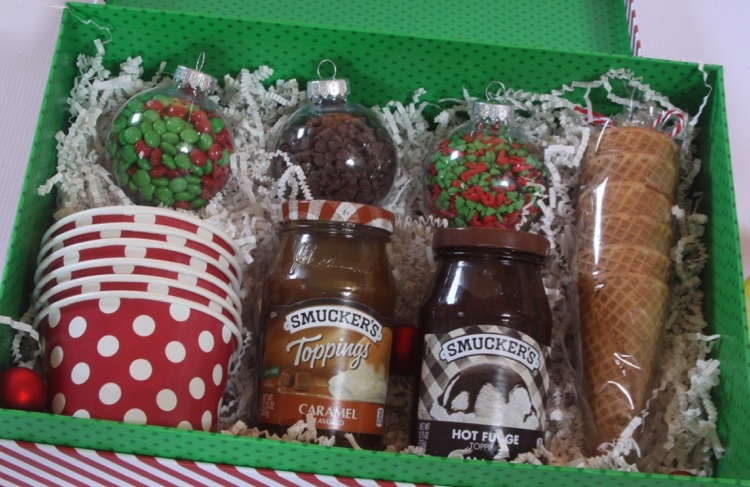 All they will need to add is the ice cream. If you want you can even add a gift card for a local grocery store so they can pick that up too. 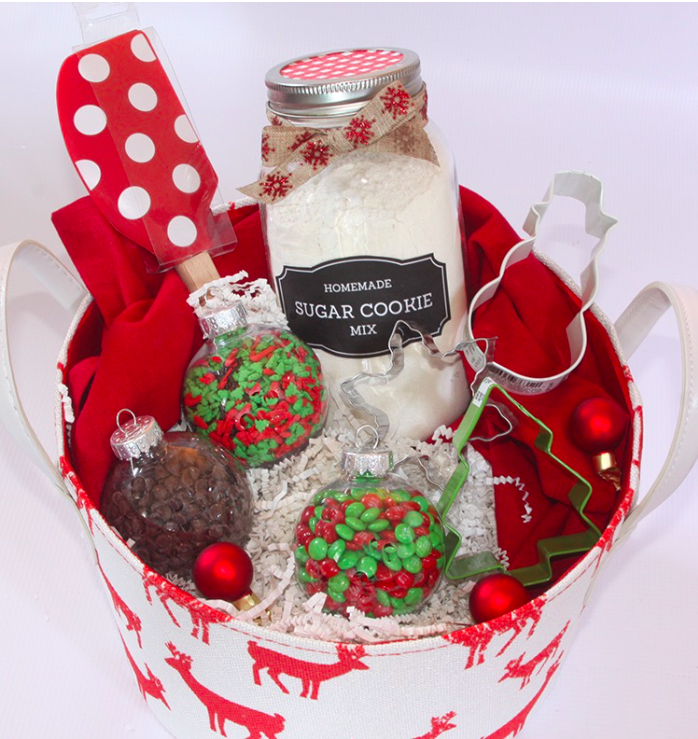 You could also include an ice cream scoop! 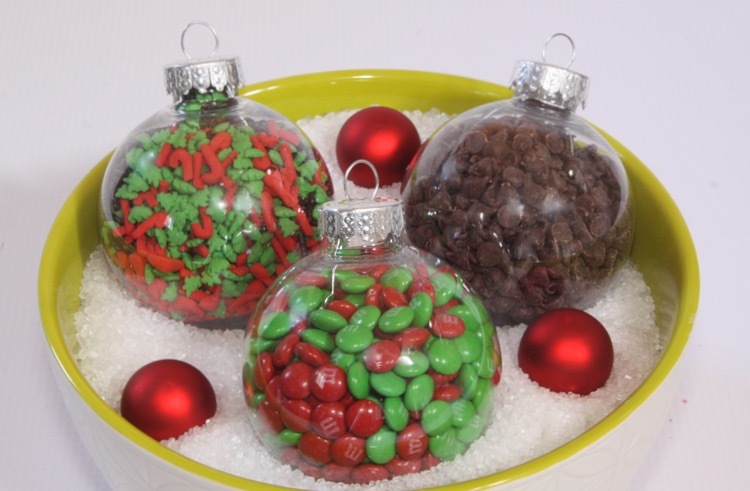 I wanted to make the ice cream toppings a little more fun and festive I placed them all to plastic ornaments. 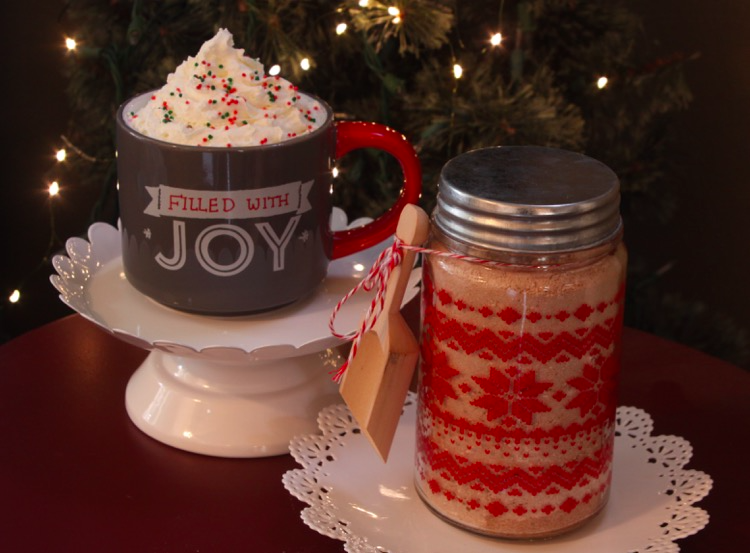 These can easily be found at any craft store. I found the festive Christmas box at Hobby Lobby. 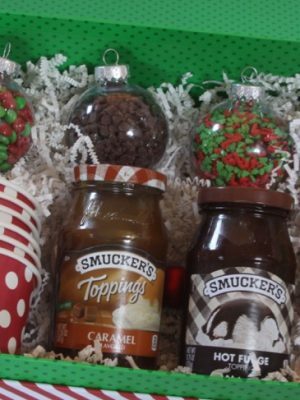 We have shared a few other food gift basket ideas in case you are looking for variations on this idea.